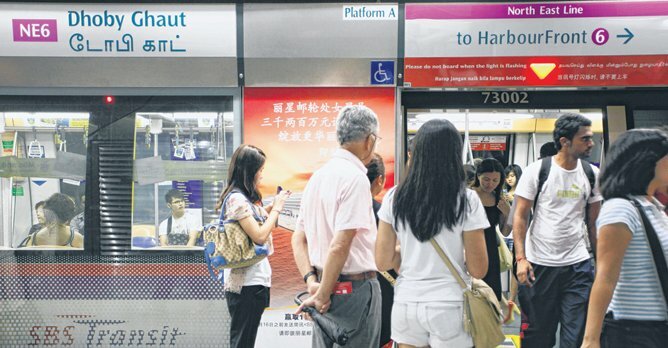 The North-East Line was the star performer, chalking nearly 1.4 million train-km between delays of more than five minutes each, according to figures released by the Land Transport Authority on Monday (11 February). The brand new Downtown Line was next, with 928,000km, followed closely by the North-South Line with 894,000km and Circle Line with 728,000km. The oldest North-South Line posted the best improvement - jumping from merely 89,000km between delays in 2017 to 894,000km. Meanwhile, the number of major delays - more than 30 minutes - decreased to nine, down from 16 in 2017. Most were on the East-West Line, while the North-South Line had none. The LRT network on the whole showed an improvement, with 82,000 car-km clocked between delays. The Sengkang-Punggol LRT rose from 115,000km to 216,000km, but the entire network was pulled down by a weaker performance of the Bukit Panjang LRT. The latter clocked 43,000 car-km between delays - down from 53,000km. 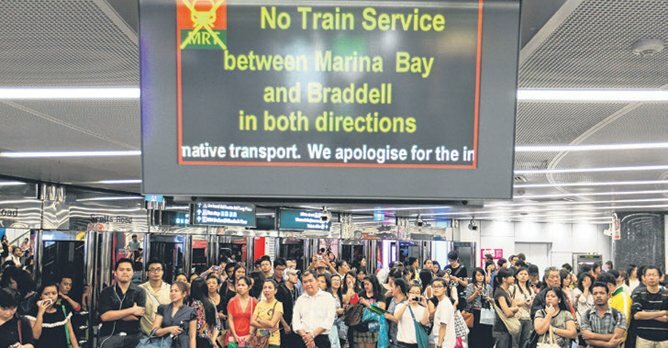 Singapore University of Social Sciences Transport Economist Walter Theseira said, "With completion of resignalling and other needed works we are now reaping the benefits of these investments. But I think we need to also pay attention to the human impact of these disruptions as an incident has very different implications depending on what time of day it occurs and how long." "So once we get to higher mean kilometres between failure reliability, I think it's time to develop more fine grained measurements so we don't lose sight of what is important," he added. At a recent signing ceremony for a mid-life upgrade of North-East Line trains, Transport Minister Khaw Boon Wan said, "When I set this stretch target of one million train-km, it was not plucked from the sky. I took a look at how the other good MRT lines in other cities performed. Some metros have been able to achieve it, but not many." "To be able to achieve it consistently, very, very few metros have been able to do it and I thought in order to motivate our staff, I deliberately chose this very stretch target of one million MKBF. And now, to be able to see at least one of our lines, the North-East Line, performing this achievement, I must commend Land Transport Authority, SBS Transit and the respective original equipment suppliers for this sterling performance," he added.